Before you head off on your adventure, is your vehicle road-ready? That means the oil has been changed, fluids checked, tires rotated or replaced, and transmission inspected. Look at the fan belts and the spare tire. That's the minimum you should do before a major road trip. 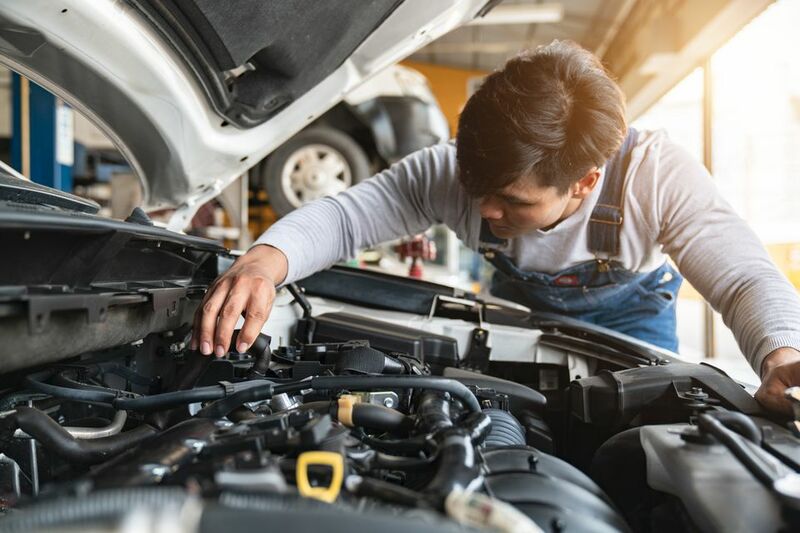 Keep in mind that finding a trusted, reasonably priced mechanic in a strange town if your vehicle has issues could prove difficult. Go with people at home whom you trust and get as much preventive maintenance done as possible. It might seem strange to issue a road trip suggestion to "ditch the car." But some people become so attached to their vehicles that they fail to take advantage of great budget travel opportunities. For example, if you're traveling to New York, it might pay to park your car near the station for the Staten Island Ferry and take the picturesque ride to the tip of Manhattan. From there, you can connect to the subway and explore all the city sights and sounds. Doing that will relieve you of parking problems and paying the sky-high gasoline prices typically found near downtown areas. At the other end of the population spectrum, there are places such as Zion National Park where you can park and ride an efficient bus system to various attractions. This cuts parking problems, air pollution, and overall congestion during peak summer times. Some routes are plagued by delays. Maybe a major bridge is being reconstructed or a natural disaster has prompted detours. These bottlenecks can rob a budget travel adventure of precious time—and time is money, even on vacation. These delays often can be detected and avoided, but relatively few travelers bother to do so. Consult ​​department of transportation websites for each state. Many offer you current information and even camera shots of traffic conditions on the major roads. Pull up these sites before you leave or download mobile apps for the places you'll visit. Stay one step ahead of major delays. With current technological advances available, there's no excuse not to have the latest information. You might expect that only the cheapest gasoline is acceptable as your road trip unfolds. But finding the absolute cheapest gallon might require more effort (time, travel, and expense) with little reward. It certainly pays to know where the best chances for a cheap tank can be found. If you're traveling from a relatively low-tax state to a high-tax state, fill up on the appropriate side of the state line. It's easy to find state gasoline tax rates. You can use the GasBuddy app to help identify the cheaper gas stops along your route. But don't drive miles out of your way to save a few cents per gallon. Be satisfied with a decent price and move along. Remember the hit movie comedy ​​National Lampoon's Vacation? Clark W. Griswold (a genius with food additives but not all that bright with travel planning) decided to drive his family from Chicago to Walley World theme park, which appeared to be in California. The family vehicle was piled high with suitcases, and anyone could spot the occupants as out-of-towners by the appearance of the station wagon. You might not be quite so obvious, but many budget travelers forget to eliminate telltale signs that they're from out of town. They'll leave maps and luggage plainly visible in the car. Valuables are in sight. Thieves prey on visitors. They like the idea that their victims will leave town and never return. Try to look competent, blend in as much as possible with the other drivers, and keep anything valuable out of the car when parked—or at the very least, out of sight. Taking the scenic route sounds like obvious advice when it comes to road trips. But most people are in such a hurry to get to the next attraction that they find the fastest route. If this is you, realize that you're making one of the most common and costly mistakes possible on a road trip. One of the many advantages of car travel is the ability to enjoy the view. This doesn't happen as easily at 35,000 feet. So never miss an opportunity to take the road less traveled. It will add value to your trip. How much distance will your road trip cover today? If it's more than about 250 miles, you might need to ask yourself if some itinerary adjustments are necessary. When you spend a majority of the day driving, you're bound to get tired and irritable. This will detract from the value of your trip. There are safety factors to consider as well. Hours of non-stop driving can dull your senses and make you more vulnerable to accidents. There are times when a long day of travel is necessary. But be certain those days are few and well-spaced on your next road trip itinerary. Parking costs are more than just an annoyance—they can alter the budget on many trips to larger cities. It's not unusual to spend $50/night or more to park in the middle of a city such as Chicago or New York City. Finding cheap alternatives to such outrageous prices might not be easy after arrival. It pays to ask local drivers about cheap, safe parking areas. Someone who drives and works in downtown Chicago is likely to know and can give you good directions. The same is true in other cities. City parking garages typically present better bargains than private lots. Don't fail to budget for parking. Can You Road Trip with Marijuana? RV vs Hotels: Which One Is Cheaper?